The challenge of parenting siblings takes many of us by surprise. There’s no such thing as “normal” when it comes to how siblings relate to each other, or how the family system changes when more personalities come into the mix. And then there’s the added layer of family history: how our own sibling stories influence our parenting choices. 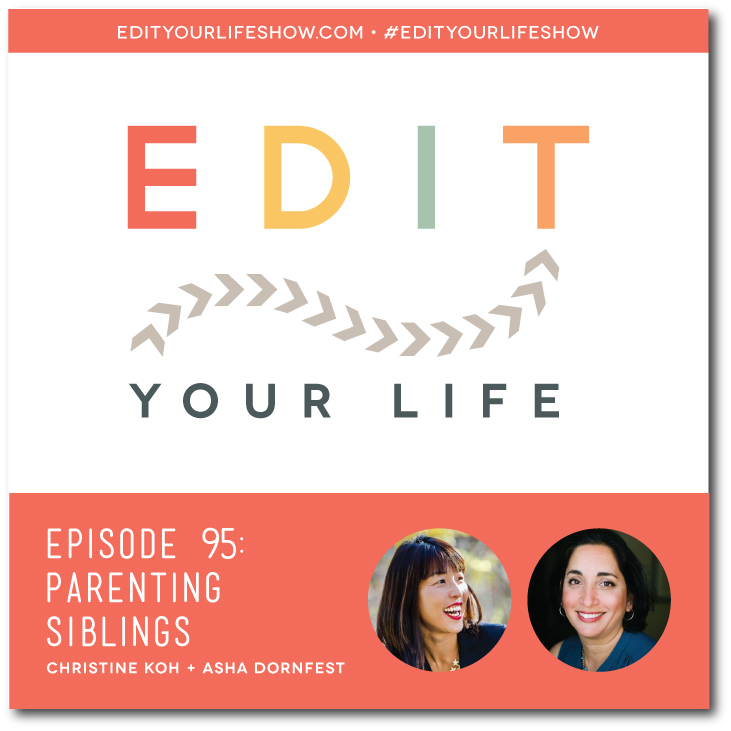 In Episode 95 of Edit Your Life, Asha and Christine respond to a listener’s question about parenting siblings, sharing 9 tips for understanding and supporting kids both as siblings and individuals, handling sibling conflict, and dealing with personal sibling baggage that may be impacting how your parent your kids. What do sibling relationships look like in your family? Join the discussion on the Edit Your Life Facebook page (look for the Question Of The Week post). Last call! For our 100th episode we’d love to hear your voices in our ears (and also help you edit your life) so we’re planning a rapid fire episode where we address as many listener questions as possible. 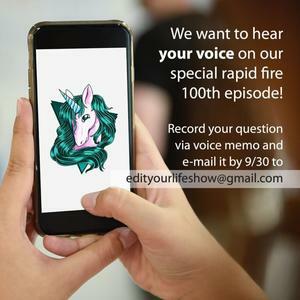 Record your question as a voice memo on your iPhone or voice recording app for Android and email it to edityourlifeshow@gmail.com by September 30.